The Foveon X3 image sensors are produced using a 0.18 micron CMOS processes in high-volume facilities. They are less expensive to manufacture than CCDs. National Semiconductor manufactures the chip in Portland, Maine, but understand that National Semiconductor had no part in the development aspect, that was all done independently by Foveon. Aside from the technology behind the image sensor there are some other major benefits, first being power consumption. As well all know battery life is a big issue with a digital camera, especially if it's not rechargeable. Since The X3 does not need the micro circuitry that does all the interpolations, it can extend the battery life. A quick note, not needing the micro circuitry will also save money. At 1-megapixel X3 produces images that are about as good as those shot by today's 2- to 3-megapixel cameras. Not only is the quality good, it is said that chip will eventually cost about a fifth of the price of its traditional equivalent. Speaking about price, how much is it going to cost? I talked to Foveon's press person asking if she knew what the chip would cost to a manufacturer but that information was not yet available. 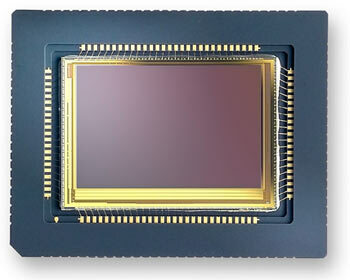 We do know that Sigma is the first company to make a camera using the Foveon X3 image sensor. 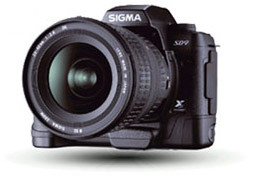 The camera is called the SD-9 and Sigma will begin taking orders for the digital SLR camera at the PMA show in Orlando on Feb 24, 2002 between $2,500 and $3,000 (the price has not yet been set). The camera should begin shipping in May. While it is not publicly known yet, it has been said they have signed agreements with a few other larger camera companies to design cameras using the X3 chip. While the price is a bit expensive, keep in mind the camera is an SLR and is 3.5-megapixels. Note that the image sensor is said to generate 2-3 times the image-producing power. Brian Halla also stated that consumers will be able to buy cameras based on a less powerful X3 by Christmas for $300-$400.